The ukeleles now have new homes. I have unwrapped the instruments and put the cardboard boxes through my band saw. Cut down and glued to Pak 'n Save carry bags, they are now portable and can be stored safely. 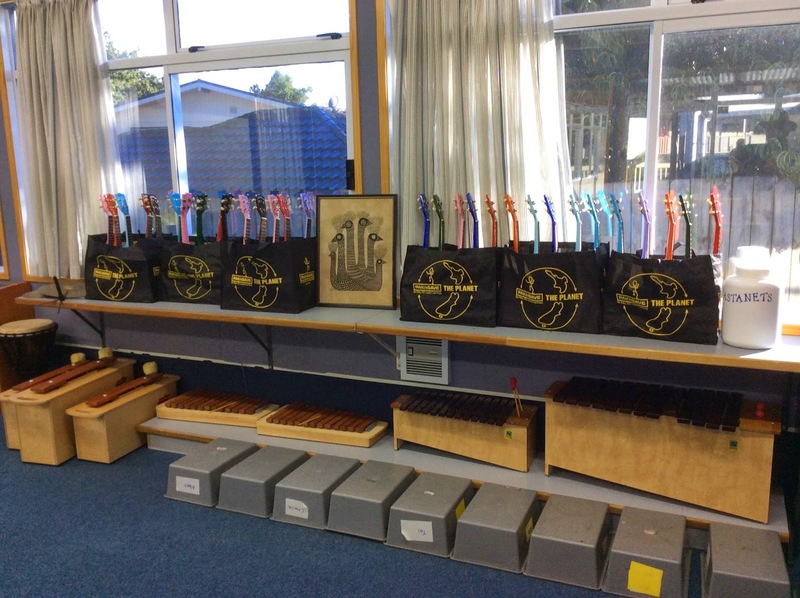 Ukeleles in their new carry cases. This past week we began learning the basics of ukelele in our music classes. The children are really enthusiastic. And I'm having a ball.